Meanwhile dice butternut pumpkin into small cubes and lay on a baking tray with cloves of garlic and fresh rosemary. Drizzle olive oil over making sure it is spread evenly. Season with salt. Place into oven and roast at 180°C for 15-20min until soft. Melt the butter in a pan on medium heat, adding breadcrumbs, oregano and cracked pepper. Stir through making sure there is no clumps. 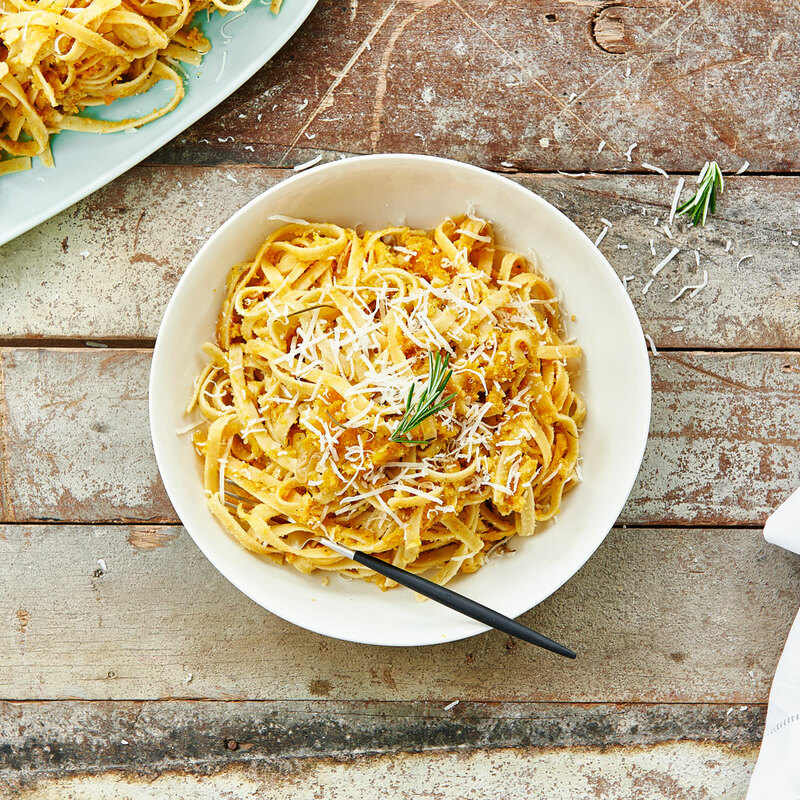 Place pumpkin, garlic, breadcrumbs, parmesan and a drizzle of olive oil in with the cooked pasta. Stir well until evenly spread. Serve with extra parmesan (optional).